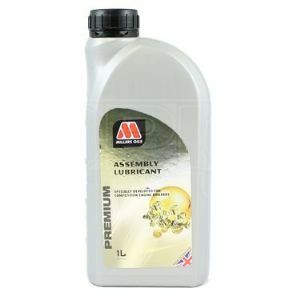 Millers Oils assembly lube is specially developed for competition engine builders. It has an anti wear formulation for initial assembly of engines and transmissions. An engine oil based formulation, very high in anti wear additives to reduce wear at initial start up. Formulated to cling to the metal surface prior to start up and then dissolve into the engine oil. Will not block oil pasages unlike some anti scuffing pastes. We use loads of it in the workshop.